Moms at the studio always ask me what I would recommend for a healthy snack for back to school for their children. 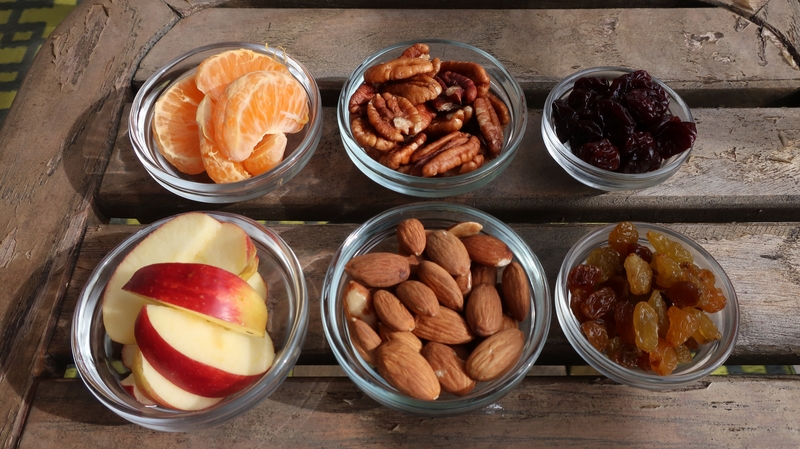 Here are a couple of healthy nut and fruit choices that are good for the heart and brain. Remember that a child will learn and pay attention better when they are not hungry. Enjoy! 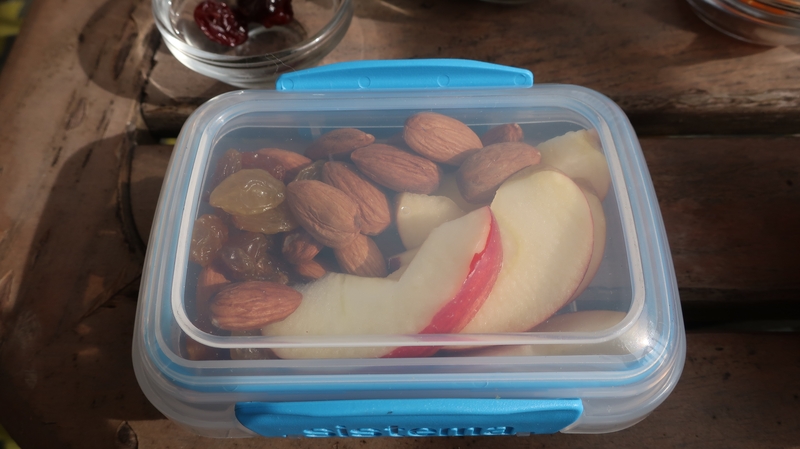 1 Mid size Apple, 10 almonds, and a spoonful of raisins. Apples are extremely rich in important antioxidants,flavanoids, and dietary fiber. The phytonutrients and antioxidants in apples may help reduce the risk of developing cancer, hypertension, diabetes, and heart disease. Almonds contain lots of healthy fats, fiber, protein, magnesium and vitamin E. The health benefits of almonds include lower blood sugar levels, reduced blood pressure and lower cholesterol levels. They can also reduce hunger and promote weight loss. Raisins pack more nutrition than their small size might indicate. When grapes are dehydrated to produce raisins, the nutrients become more concentrated, making a handful of raisins a snack rich in B vitamins, iron and potassium. 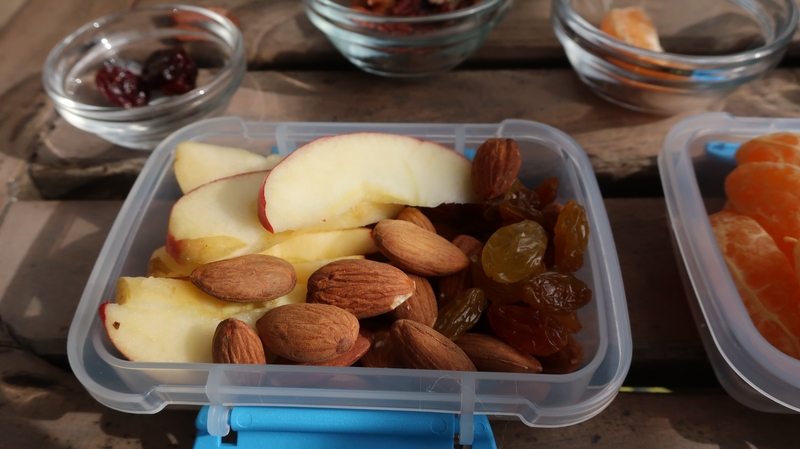 Besides nutrients, raisins are also a good source of carbohydrates for energy. 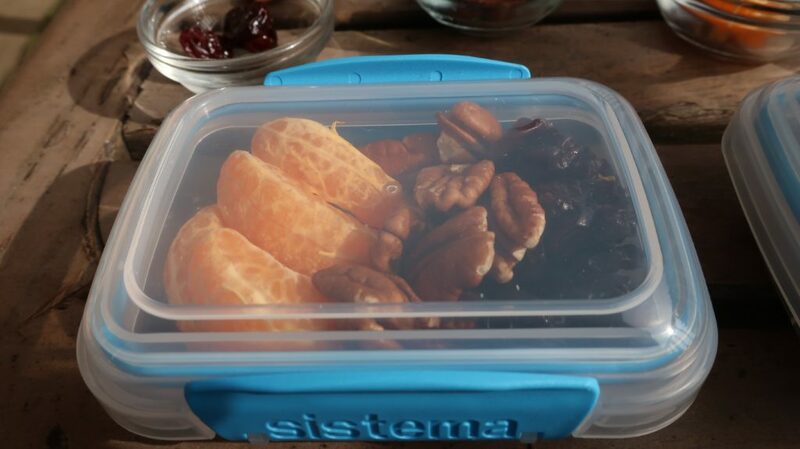 Colorful containers by Sistema are easy to store and use for children. 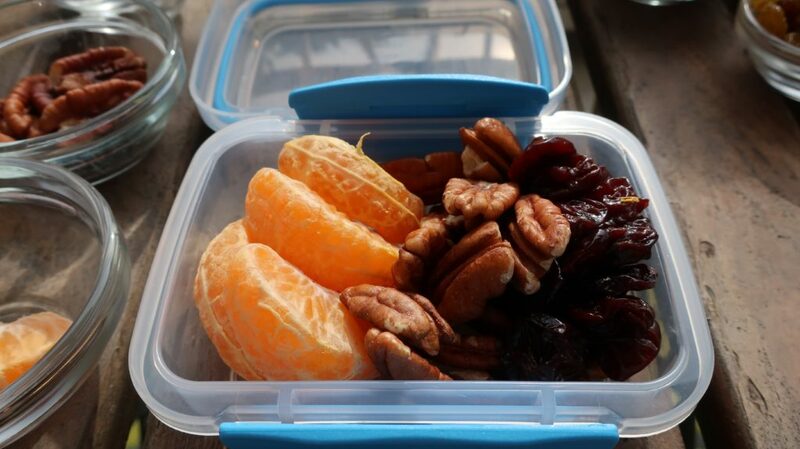 1 Clementine, 10 halves pecans, and a spoonful of dried cherries. Pecans contain more than 19 vitamins and minerals including vitamins A, B, and E, folic acid, calcium, magnesium, phosphorus, potassium, and zinc. 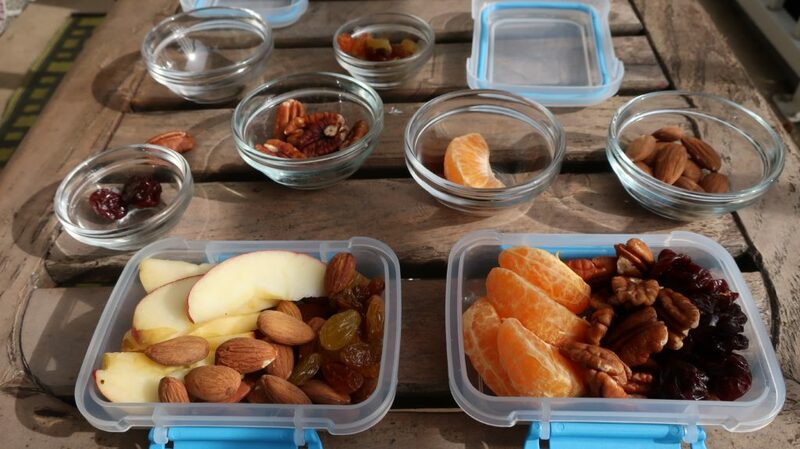 Add pecans to your children’s diet whenever you can. Clementines are juicy delights, rich in a variety of vital nutrients including minerals such as calcium, magnesium, potassium and phosphorous, also vitamins such as vitamin C (ascorbic acid) and folate to the body. Cherries serve as a good source of copper, an essential mineral. Each quarter-cup serving contains 8 milligrams of vitamin C as well as a vitamin A that supports new cell growth, and it plays a role in wound healing and immune function. It also supports health vision and nourishes your skin. Children will love these containers, they come in different colors and you can get them at Amazon.